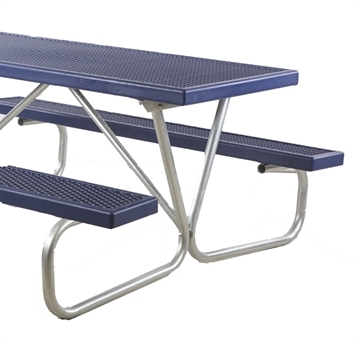 Browse our large selection of commercial picnic tables proudly manufactured in the USA with direct shipping from our warehouse to your location. We offer a variety of different shapes and sizes to accommodate your venues' empty space with much-needed seating. Choose from a wide range of durable materials such as concrete, thermoplastic, recycled plastic, fiberglass, wood and aluminum. Our park picnic tables are long lasting investments made to fit any commercial location and budget. Additionally, we carry a large selection of matching ADA compliant tables making them the perfect choice for schools, apartment communities, sports complexes, and any outdoor restaurants. Call, chat, or send a quote request to receive a customized estimate with quantity discounts. Who do we sell picnic tables too? Picnic Tables are the most universal commercial outdoor furniture for businesses. 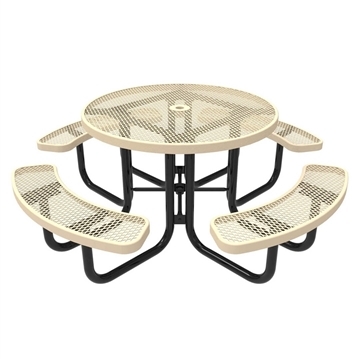 Our round picnic tables made with concrete or plastic coated steel are a favorite of McDonald's, Burger King, Dunkin Donuts and other fast food restaurants where weather exposure is extreme. Different shape picnic tables such as square picnic tables are popular in high schools, universities and elementary schools which are perfect for outdoor dining and children activities. These picnic tables are versatile and are utilized at virtually any industrial business. 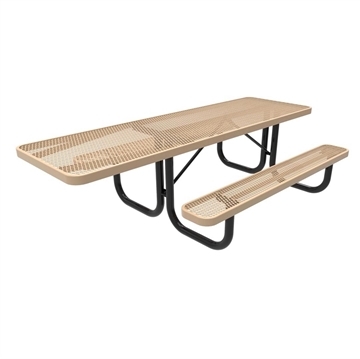 Picnic Furniture is one of the few online stores that sell commercial products to both the US Government and the general public for outdoor dining. 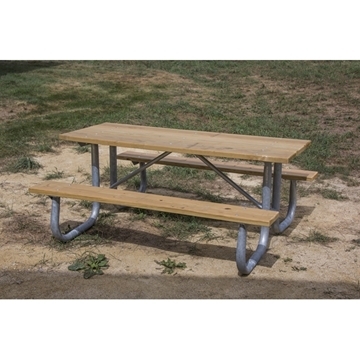 Our picnic tables come in a variety of shapes, styles, and colors, including ADA models for convenient wheelchair use. Our selection of commercial picnic tables offers the most popular outdoor options for your apartment community or residential space. Give residents a place to enjoy time with family and friends as they gather for outdoor barbecues, lunches, birthday parties, and more. 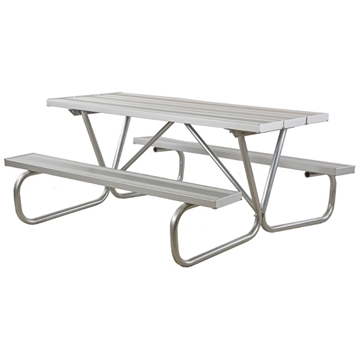 Select a theft-proof and vandal-resistant concrete picnic table that will last the life of the property, or opt for plastic coated steel for a modern, weatherproof seating solution. Choose between portable or in-ground mounted models for movability or more permanent installation. From modern to classic designs, we’ve got just what you need to find the perfect apartment picnic table for your space.